Why have a simple grilled chicken when you can have chicken inasal? "Inasal" is like taking grilled chicken to a whole new dimension. The marinade and spices make the chicken more delectable, especially with soy sauce infused with chili and calamansi as dip! Chicken inasal traces its roots to the flavorful regions of the south, the more popular spot being Bacolod. I remember tasting one of the best chicken inasal ever when my friends and I went on a four-day vacation at Palawan. 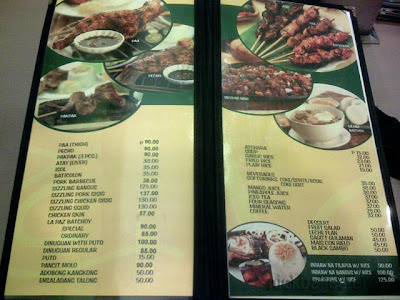 Our lodging was situated very near a chicken inasal restaurant and we had this for dinner every night! It was so good that people truly go out of their way to visit the place and it's always packed with people, especially at night. 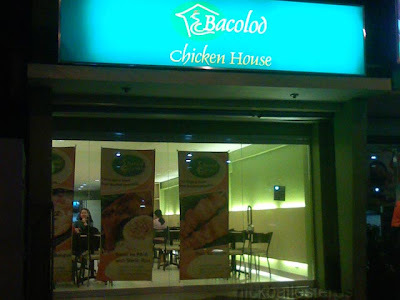 In my early years of working in Manila, our office was quite near the Bacolod Chicken House right beside Kamayan along Pasay Road in Makati. There were a lot of evenings when all of us, including management, would troop to this place (which was open-air dining) and get our fill of chicken inasal. It seemed like the place was going to stay there forver, even when its neighboring stalls were demolished and the place made to look like a deserted lot for years. But just last month we were surprised to see the stall being demolished. We wondered where they went to, and I caught up with them by accident. As in, literally, I was just walking along Don Chino Roces Avenue when I spied their restaurant, which is now indoors and with air conditioning. It's a nice, clean place. Everything is brand-spanking new. A 180-degree change from the open-air barbecue atmosphere. I told some friends of my find and they promptly arrived to have dinner as well. Aside from chicken inasal, there are other items on the menu. 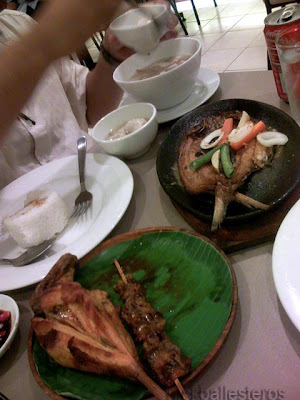 Below: sizzling bangus, molo soup, and of course, chicken inasal! Here's the menu. Order na! We usually get the pecho part (I think that's the breast). I have always loved chicken inasal, and I'm glad I found this place again. 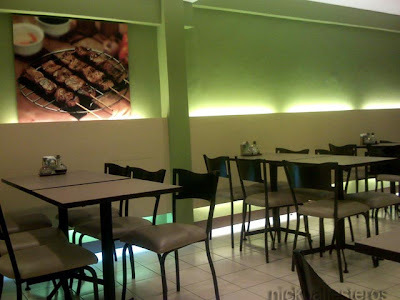 Their restaurant is located along Don Chino Roces Avenue (formerly Pasong Tamo), opposite Makati Square. It's actually just near their original location opposite Walter Mart, which is now a construction site. Yan ang di ko natikman last vacation although madalas ko syang marinig noon sa isang teleserye sa tv. Ann: Yung yung teleserye ni Juday! hope you guys plan to visit bacolod this october for the masskara festival! jj: Uy talaga this october na yun?! er.. sorry, i thought yung kay juday yung Bacolod Chicken Inasal? Iba pa yun sa Bacolod Chicken House, yes? Sarap!! Iba pa rin yung classic na inasal. Fave ko yan aside from JT's Manukan!